Since we introduced the CFR course to our portfolio of Primary and Secondary Care courses we have also trained a dedicated team of Professional Instructors which are spread globally. Thanks, and in no small part to their contributions along with our own we now have trained over 10,500 Canine First Responders Globally and what an achievement that is and, the numbers are still growing fast. Let's between us try and make it 20,000 for 2020. The Canine First Responder course has been the official course of HM Prison Service dog handlers since 2011 with it now being a mandatory part of new dog handlers to the service's induction training. It is great recognition for our efforts to deliver a quality course and to be recognized in such a way which is why we are always striving to improve and make it and keep it, the best there is. As of 2017 it will also be the official course of choice for Hertfordshire, Bedfordshire and Cambridgeshire constabularies police dog handlers with us training their own Instructors to deliver the course to all dog handlers within those regions. We would like to thank all our Professional Instructors for helping us further our aims in training Canine First Responders and spreading the word across the globe. "The CFR Course was recently presented in South Africa for the first time. 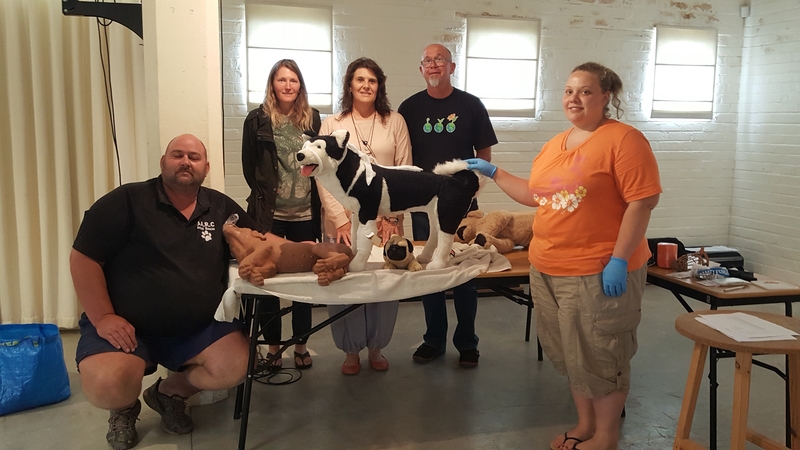 Courses were held in the coastal towns of Hermanus and Gansbaai and hosted by their respective animal welfare societies." Since we introduced the Canine First Responder Course back in late 2008 there has been a glut of short courses introduced since then. What you have to bear in mind is that, with human first aid courses they have to comply with ILCOR guidelines for Primary and Secondary care in a First Responder situation. So, no matter which course you take with whatever training agency, the course content is identical. In the UK the HSE also has rules that training bodies must follow such as; you can only train twelve people to one Instructor which can increase to a maximum of 24 people with one additional Instructor or qualified assistant. When we wrote the Canine First Responder Course, the FIRST course in the UK to be veterinary recommended since 2009, we built it around the ILCOR guidelines and also the HSE guidelines for teaching and supervision so students know they are getting pucker course that complies with the Veterinary Surgeons Act 1966 and is the only course globally that is approved by any First Aid and CPR Training Agency let alone the biggest CPR and First Aid Training Agency in the world, Emergency First Response. Through the public’s inquiries to us for training you have made us well aware that there are cheaper, shorter courses out there which last two hours and are certified. I’m sorry but I have been in the industry for nearly 20 years and I can’t teach the primary care sequence in two hours let alone a full, certified course and any experienced trainer will tell you the same. All external CPD accreditation really means is; some company has taken a bag full of money off you to allow you to put their badges and bells on your marketing materials, looks good but means nothing in real terms, we know, we looked in to it at the beginning. Having said that, if you need additional proof of CPD we are glad to provide it at no extra charge just request it when booking. If you are taking a Pediatric course with us to meet OFSTED requirements and it's your first time, please bring your paperwork/training record from your college or employer with you for us to sign on the day. We are proactive rather than reactive as any business needs to be so as of September 2016 we will be offering the Canine Primary Care course which is certificated and takes 3½ - 4 hours and costs £45 and gives you four hours of CPD. Primary care sequence is all the life threatening stuff that we teach first on the full CFR course and course dates are the same as the full course. If you would like later to top up your qualification the full Canine First Responder Course you can come back to us and complete the Canine Secondary Care Course. There’s not a day goes by when I don’t receive requests from organizations and individuals running rescues and charities of one kind or another, to donate “Spare or unwanted kit” for them to use as prizes and for raffles. Most are legitimate some questionable but the point is, if I donated to all the charities as requested then I wouldn’t have a business for very long. As for “Spare or unwanted kit” we don’t have any, we order products as we need them and ship them straight out to the client. From time to time, we get free promotional items from the suppliers when new products are released and we are happy to donate these, usually to the next request that comes in for a donation which makes it a bit hit and miss on our part. Being passionate about animals and animal welfare this is where we will make our donations and so what we have decided is; once a year we will donate products and services up to the value of £150 for one charity to use as a raffle or other fund raising prizes. What has inspired us to this is reading some of your wonderful post and success stories on the book of faces and the hard work you, as rescues put in to ensure the health and welfare of the animals in your care and sometimes not even in your care where an owner has nowhere to turn because they can’t afford Vets fees and you have stepped up to help. So how do we decide who gets the prize donations? What we would like you to do is send us one side of A4 (500 words of normal font 12 point letters) with one of your success stories that was against all odds for that year you are applying along with general information on your rescue and what you or your volunteers do to go above and beyond the usual routine ways to raise funds for your group. It should also include a postal address along with all the other usual contact details so we can notify the winner. All applications will be carefully considered by a panel of two of our Course Directors and our resident Veterinary Nurse adviser. Applications will run from February to December and put before the panel in January and the result published on the 01st of February for that year’s winner. For Logistical reasons this is open to UK and Irish Charities only. Terms and Conditions apply which will be published on the website soon. Welcome to Pet Expo 2014 – Singapore's largest the PET-ducational Fair! Here, you will find a myriad of businesses, educational material and social activities focused on pets and their well-being. Come and visit us and say Hi we would love to meet you if only to talk about dogs. The Pet Expo runs from 28th of February - 2nd of March 2014 in hall 6A, doors open 10:30 - 21:00 at the Singapore Expo. In this modern age when most things are being exported from the Far East it makes a pleasant change to be importing something to there. It gives us great pleasure to announce that we will have a new regional office servicing South East Asia based in Singapore from August 2013. We would like to welcome Cassandra Price to the team who will be the training manager and coordinator for the region. Cassandra is at the moment, liaising will the local government to make The Canine First Responder Course the Standard for all people that work as professionals within the Canine Care Industry as well as educating dog owners. Contact details will appear shortly along with a region specific website. Have you been to Europe recently on holiday? Like most of us, did you come home with a pocket full of Euro coins that you may never use again that are only gathering dust in a draw? Well we can put these to good use, giving you a way to put all that shrapnel to good use and helping a worthy cause in the process. 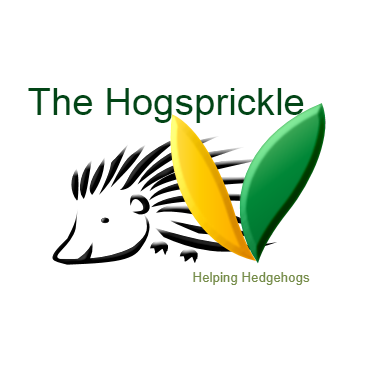 The Hogsprickle is a wildlife rescue in County Clare, Ireland that specialises in taking in sick, injured and abandoned young hedgehogs, getting them well enough to be returned to the wild or in cases where they can't be returned to the wild they are kept in a secure enclosure safe and out of harms way and looked after for the rest of their days. We have added a Guest Book to the pages of the website. We would encourage you to use it. You can post questions you are looking for the answers to or leave answers to posts already on there, just say hello and give us feedback on the website or courses you may have done with us. We get emailed questions all the time and are not always available to get a reply straight out. 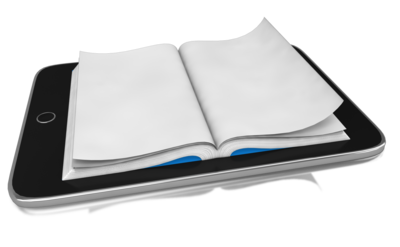 By using the Guest Book if we are unavailable to answer a question especially if a quick response is required then one of the other Instructors or Students may answer it for you a little quicker. As you know we encourage the use of the Responders in action report form, this helps us to recognise you for using your skills in an emergency situation and also helps us to improve course conduct and content. Why not also take the opportunity to let us all know here on the Guest Book too and we actively encourage you to do so and share your experience with other first responders. 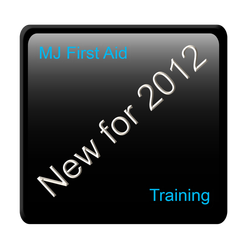 Here at MJ First Aid Training we would like to wish the British Olympic Team the greatest of success at the 2012 games in London. We hope to see you bring home many Golds. The Lofsted Report "Reclaiming Health and Safety for All"
As reported below earlier in the year, Professor Lofsted's review of the Health and Safety regulations recommended that HSE Approvals for First Aid at Work Training requirements be dropped. There is a great deal of speculation in the first aid training industry that this will open the doors to unscrupulous training providers that will train employees but not inform employers of their obligations. As Emergency First Response Courses were HSE approved for First Aid at Work prior to the Lofsted recommendations any employers sending employees to complete training with us will be able to rest assured that training will be of the same high standard as before but now you will have more options available to you and that training can be completed in one day instead of three and you have the option of including Automated External Defibrillator Training and Emergency Oxygen provision Training at the same time. It also has the added financial benefit of reducing costs of training and lost production while the employee is away from their work. Previously these would have had to be booked as Bolt on, separate courses meaning more lost production as your employees would have been away from the work place for an additional day. That training can now also be work place/industry specific, for example; Crush injuries from falling in fall arrest equipment in the construction and other related industries. 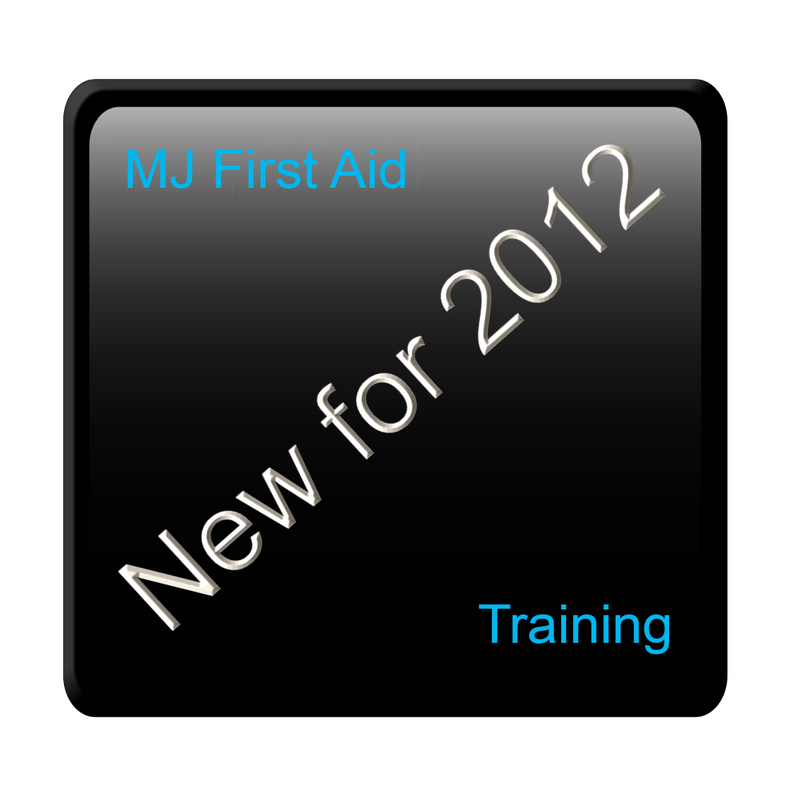 Here at MJ First Aid Training we have vast experience at tailoring training to suit specific needs so we look forward to a new era in the industry and discussing your training needs with you. Great news for 2012! The long awaited CFR DVD will be ready for this summer we have finally managed to secure a date of the 12th of May with the production company to shoot the final scenes. We then have a couple of days of editing and adding the voice over, art work and the like for the disk and cover and we will be ready to rock and roll. This epic production has been nearly three years in the making and it is nice to finally offer it to the public. 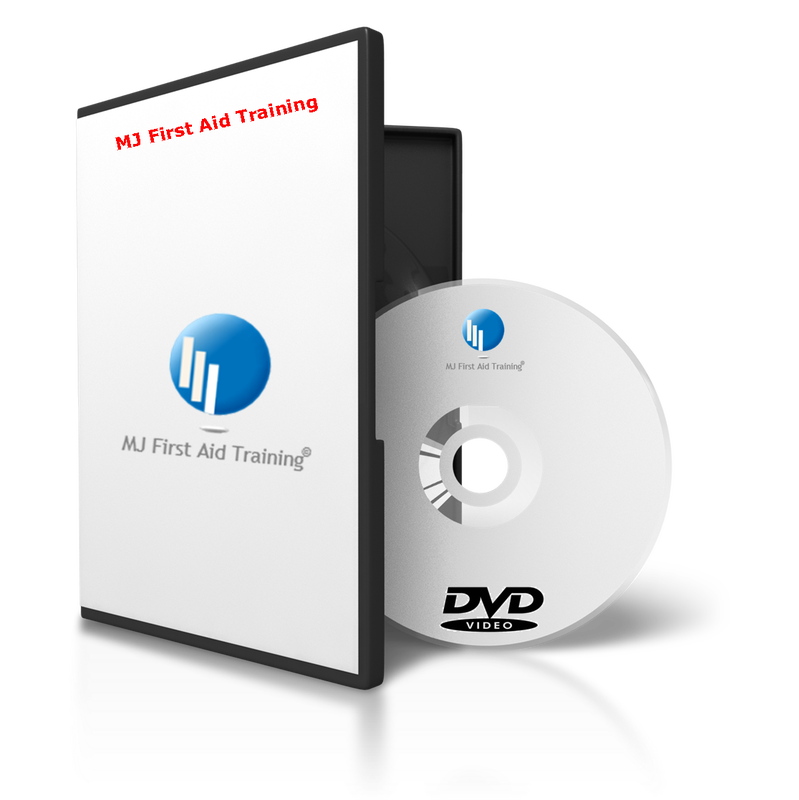 We must add that this DVD is not a “How to” DVD but is meant to complement our student and instructor materials as there is no replacement for hands on practical training with an instructor guiding you. Those of you who have already emailed us and registered your interest we still have you on file and will be contacting you as soon as it is ready for retail. If you haven’t yet registered then you can do so here. The new DVD isn't just us being filmed for eight hours running a class and then edited down to three disks like some that are on the market. Our DVD has been purpose shot by a professional production company making the scenes as realistic as possible and in the correct sequence of the priority of care, Primary then Secondary Care all contained on one disk. Unfortunately from an Instructional point of view, the DVD will only be able to be used in this role by Instructors trained by us or under strict licensing agreement to us and it will be watermarked through out to that effect (contact us for details). We would like to say a big thank you to those of you who helped in the logistics of it all over the past two and a bit years and also in the filming, you know who you are and we mention no names so as not to embarrass individuals but it will become apparent when you actually see the film. No Animals were harmed during the filming of this DVD although they were petted to within and inch of their lives! Hands Only CPR. The British Heart Foundation have launched their new campaign to get more people actively involved in CPR training and the very clever and funny use of Vinnie Jones in his demonstration on a "None breathing volunteer he made earlier"
Here at MJ First Aid Training we are all for making things as simple as possible and easy to remember in an emergency. _At the end of November 2011, the government released the Lofstedt report 'Reclaiming Health and Safety for all' which promises to change the way Workplace First Aid courses are regulated. 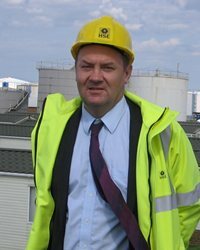 Prof. Lofstedt has been tasked with reviewing the H&S Regulations (which include workplace First Aid qualifications)and identifying any opportunities to simplify things. In the report, Prof. Lofstedt recommends that "The Health and Safety (First Aid)Regulations 1981 should be amended to remove the requirement for HSE to approve the training and qualifications or appointed first-aid personnel." He goes on to say, "The regulations do currently stipulate that the training and qualifications for the appointed first-aid person must be approved by the HSE and this appears to both go beyond the Directive and have little justification. So long as they meet a certain standard, allowing businesses to choose training providers should allow them greater flexibility to choose what is right for their workplace, and possibly reduce costs." The full report can be downloaded below. This seems to be entirely sensible on the surface although it potentially could allow workplace first aid courses to become unregulated and flood the market with unqualified and poor quality trainers. So how does this affect the consumer? Prof. Lofstedt recommends that changes are initiated by June 2012 and early indications are that the HSE will complete the process by 2015. However you are going to need to know that your First Aid trainers are qualified and regulated in some way if it is not to be through the HSE. This is where Emergency First Response courses, which are delivered through their network of Instructors and training centres, and are regulated by strict quality assurance standards, come into their own. Choosing from our wide range of courses also lets you take advantage of the recommendations to choose what is right for your business, rather than feeling that you are stuck with doing a standard First Aid at Work course when a course tailored to your situation would be more suitable which could include AED and Oxygen provision training as at the moment these are bolt on courses at additional cost to the employer under the current HSE regulations which also means employees are away from the coal face for longer undergoing training. So these are interesting times in the First Aid industry and not before time. A chance to update, refresh and modernise is always a good chance to take and hopefully the government will take the correct course of action and ensure there is some form of quality control in place. But by using Emergency First Response Training centres and instructors, ensures the course is delivered and follows the current guidelines set out by ILCOR and the BLS working committee and also knowing that prior to the report Emergency First Response also had HSE approvals for First Aid at Work. It is basically exactly the same course as before but instead of losing employees to three days of training you only have them out for one day's tailored training. Emergency First Response is also the worlds largest certification training agency for First Aid and CPR and the reason is their quality of courses, materials, instructors and training centres. We often get asked if we do an "Online" or "distance learning" First Aid and CPR course for people and dogs. The answer is "No." The only way to learn motor skills is through doing them and making these skills an automatic response comes through the repetition of practical application you get while undertaking any practical based course and why should a First Aid and CPR Course for dogs be any different? Some parts of the world have a Good Samaritan Law which protects First Responders from being sued should things not have a favourable outcome. Where such Laws don't exist then the First Responder is covered by Common Law. Either way, to be covered against proceedings against themselves a First Responder must: "Act within the Scope of their training, Act in good faith and not accept any reward in any way, shape or form." So, you have completed an "Online" course and find yourself rendering aid whether it's to a human or animal and the scenario doesn't have a favourable outcome! Would you be covered by the Good Samaritan Law or Common Law depending on what is in force in your area? That is a very good question. As your course was completely theory based with no practical, hands on training you may be in a very Grey legal area as you could be judged as "Acting Beyond the scope of your training." While "Online" or "Distance Courses" for First Aid and CPR seem a good idea and admittedly you can complete them in the comfort of your own home we ask that you first consider doing a practical course that is recognised and that is reflected through the certification you receive. There is no substitute for quality tuition with a qualified Instructor first demonstrating to you what to do and then that Instructor guiding you through your turn to practice with your class mates. The main training agencies for First Aid and CPR training are; Emergency First Response (The largest certification agency worldwide), The Red Cross, St Johns Ambulance and St Andrews. You need to ask yourself, "Why don't any of these organisations offer online courses?" One of the first safety rules in diving is: you should never dive alone. A dive buddy is a person you can share emotions and experiences with. A buddy makes it easier to pay attention to the basic rules to avoid possible risks. A popular saying among divers is: "your buddy is the most important thing that you take with you in the water." In case of emergency, in fact, being alone could be fatal! On the other hand, one of the most common questions we receive from our members is: what if I voluntarily aid an injured or ill diver and, in an attempt to resuscitate him, cause him injury? Could I be sued for wrongdoing? To answer these questions, we are now publishing a very interesting article, written by the lawyers of the DAN Legal Network. It is called the "Good Samaritan's Law” and it gives information on its application in several European countries. This Article is taken from the Divers Alert Network Europe and was written for divers that render aid to another but equally applies to anyone rendering aid to another. 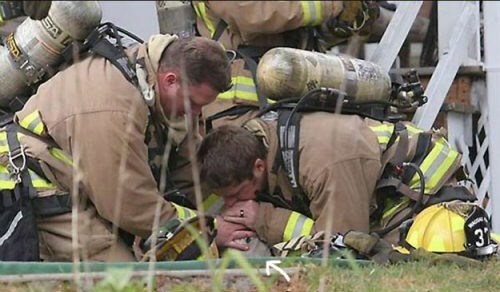 _This edited down news version shows just exactly how CPR can save a dogs life even by someone with just a little knowledge. This is why we recommend full, hands on training with an Instructor to improve the chances of survival even further (See previous article). 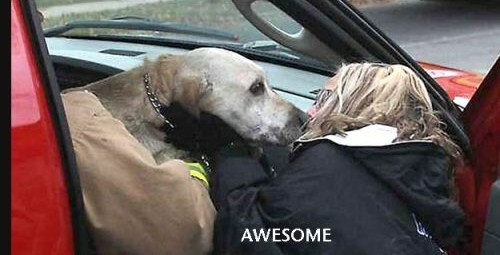 First Responders work for animals just as much as for humans, checkout our slide show. Consider enrolling in an animal first aid and CPR course soon. The summer of 2011 saw us train Cheshire Police Force's kennel staff with the Canine First Responder Course and HM Prison Service now have their own CFR Instructor trained to roll out the CFR course exclusively to their dog section handlers. As of the 1st of October 2008 we have received approval from EFR for our distinctive Canine First Responder Course©. So now we can offer dual certification. We will be running an Instructor Course once a month, usually the last weekend of the month. 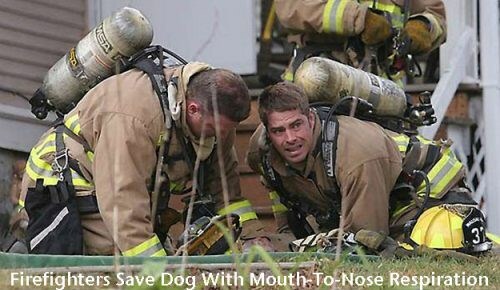 The format will be; EFR Canine First Responder© on Saturday. M J First Aid Training, Canine First Responder Instructor© on Sunday. Call us to check availability and to book your place. We submitted the course outline for the Canine First Responder Course to Jenni Watson, founder and principal of the ADTB, Academy of Dog Training and Behaviour. After careful consideration the ADTB is now recommending our course to its membership and their clients. We would like to thank Jenni and the ADTB for their careful consideration. The course is aimed at workers in the canine professional field and pet owners alike. 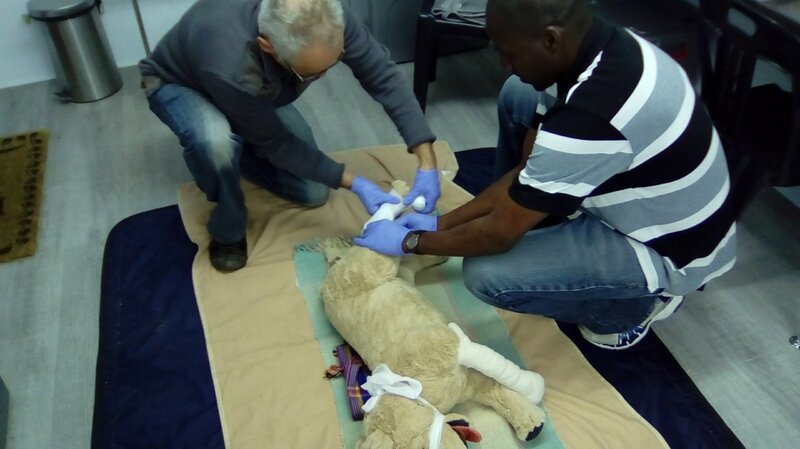 You will get hands on practice with the latest state of the art canine CPR Manikin and we believe we are only the second training provider in the UK offering this. Enquires have been thick and fast for the course so if you are interested please drop us an e-mail or call and we can let you know provisional dates that are set at the moment. So, if you would like to know more, check out our course list page for booking form and payment, course dates page for venue and dates and course details page to see what you'll be learning or, if you want a chat, call us, our numbers are on the contacts page. 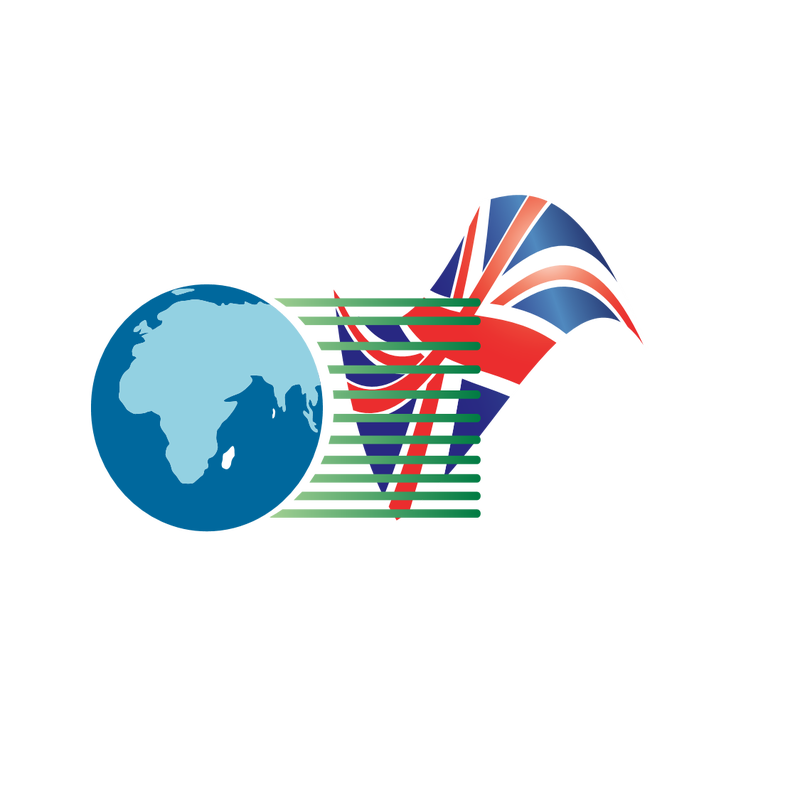 If you are an overseas or European trainer and would like us to run a course in your own area or Country, please contact us for packages we can put together for you. The courses have been delivered to Instructors in Denmark in May 2009 and Also in County Kildare, Ireland at the end of May 2009. Our Canine First Responder Course has proven so popular we are now taking booking from overseas parties that are interested. May 2009 saw us training instructors for Denmark and Ireland for a group of trainers and behaviourists. We have also now trained an Instructor for Australia. If you are based in Europe or the US and would like us to bring the courses to you, please don’t hesitate to contact us for a quote.